Mamarazzi Scraps: #BHhideandseek Game - I Found One! 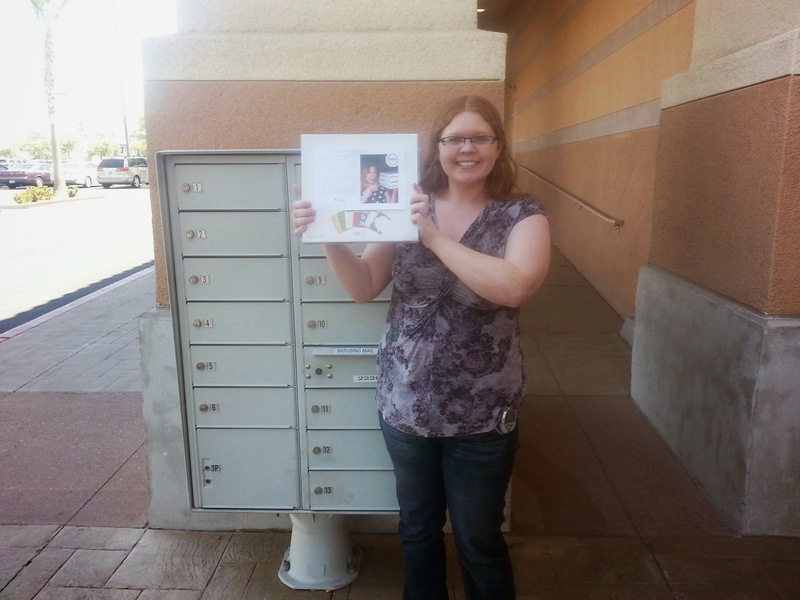 Becky Higgins has been doing a hide and seek game where she leaves kits around her home state of Arizona. Well, this past week, she spent a ton of time in Utah for an event there. I was JUST there for Memorial Day and she stopped at the Hobby Lobby I was at and signed kits...it just seemed like a ton of close misses! Today, she is heading back home and posted about leaving a kit in St. George right as we were headed to lunch and then to grocery shop. I told my husband about it and I said something along the lines of, 'what are the chances she would stop in Vegas...I'm betting there is a more direct route from St. George to Arizona than driving through here' and didn't think much more of it after that because it was just one more close miss (we stopped in St. George both ways on our trip on the 26th). As usual, after we are done packing up, I check my facebook on the way home. What do I see? A picture of the Joann's that I shop at posted 3 minutes prior about a kit hiding outside of the store. I quickly tell hubby, 'quick, we have to go to Joann's, NOW!' and before I even had a chance to explain to him why (perhaps he had already put it together, who knows) he starts changing lanes to turn down the street with a more direct route to Joann's. That could have been the longest 5 minutes, ever, but when we were searching for the mailboxes featured in her photo, my husband stopped, quickly said 'it's still there' and I hopped out to grab it. In my nervousness, I couldn't even type 'I got it!!' without making mistakes. My husband then insisted on taking a photo before I even asked. I am not in love with the photo, so I'm going to go back with the DSLR and take a better photo (and possibly wear the same top as someone suggested, haha) to reenact finding it. The kit she left in St. George was Rain, one that I already own. The kit she left here that I found was Slate. I have a partial of this kit but now I am beyond lucky enough to own a full kit, now, as well. I am beyond elated and feel incredibly fortunate that she stopped here and it is even more amazing that it's not a kit that I have a full of AND that it is one that is incredibly boy friendly, since I have two boys. This whole thing just really made my day and probably more. Now I need to decide if I actually want to open it and use it or if I want turn it into some sort of display piece for my room. As I was holding it in my lap on my way home, I was focusing on the awesome fact that this was something that had been in Becky's hands only moments before I found it...it is the closest that I have ever been to actually meeting an icon in my hobby which only makes finding the kit that much more special to me. I know this post was sort of all over the place, but I just couldn't help but share my excitement. I will probably pull some of my partial kit to giveaway. I've been trying to think of a decent RAK to do after having received a RAK'd partial from the Elder kit and this just seems like the perfect way to pay it forward and share some of my good fortune.